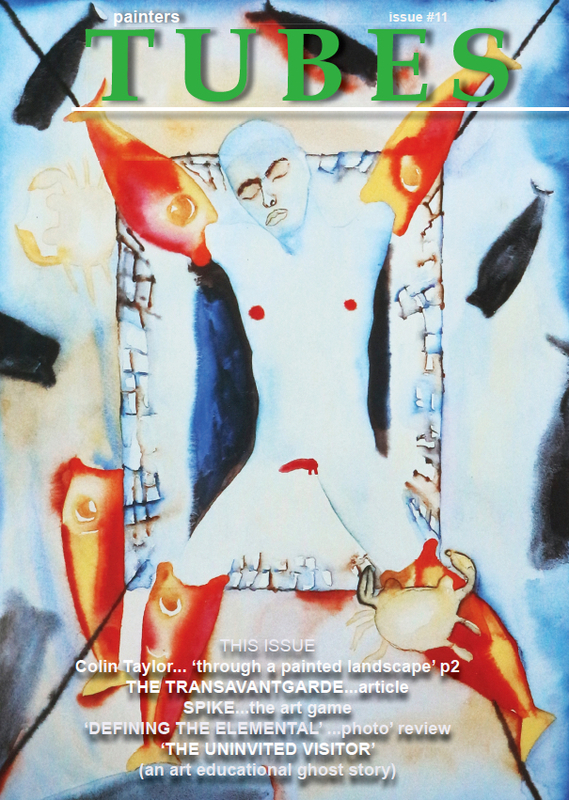 The artist explained that the landscape work created were essential to help fund ongoing research with preparatory painting for a series of very large paintings, ones that took figurative painting into another direction and subject line that normal figure work, but it would be some time before they were fully resolved. 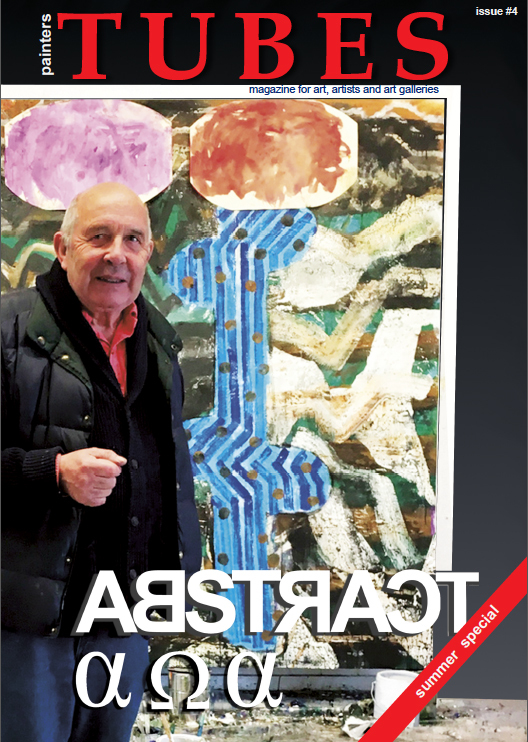 This special series of paintings, (the artist explained), was connected with a specific investigation into human relationships through the eyes of another age. 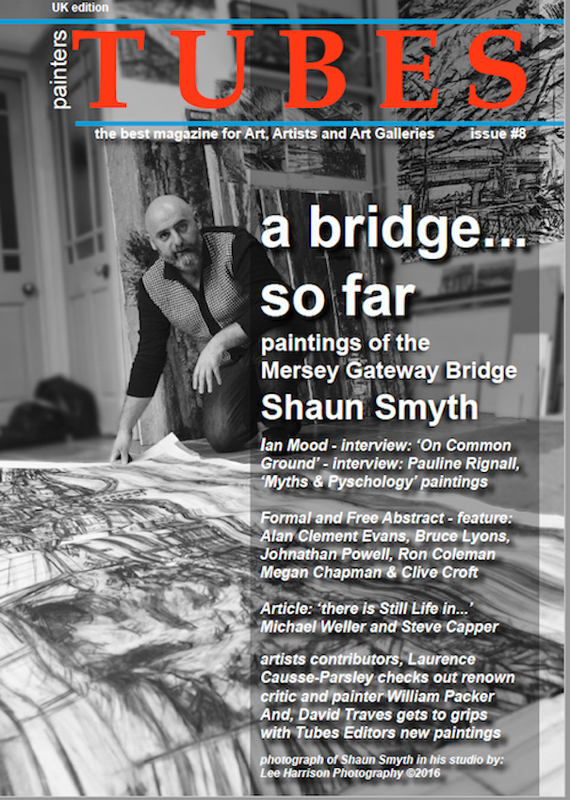 And how the myths related to our own time. 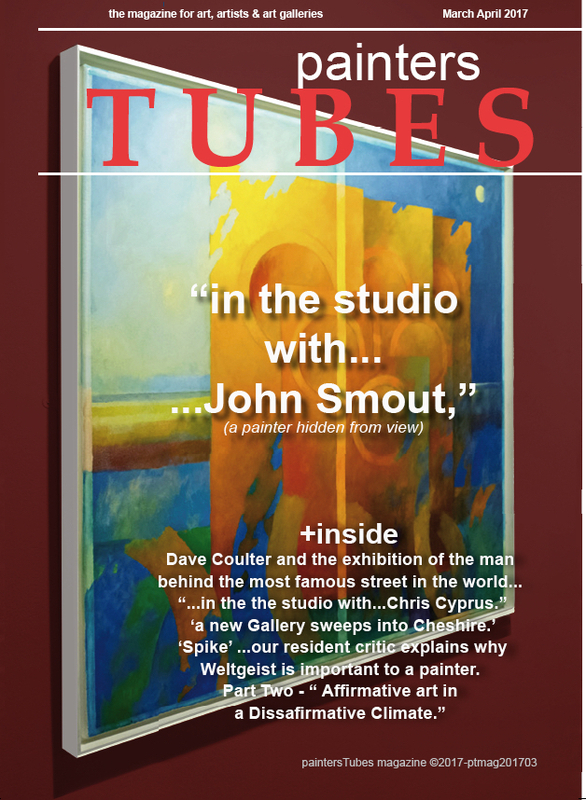 Tubes Editor was quite taken by the paint application and the subject and arranged a personal visit to the artists studio. 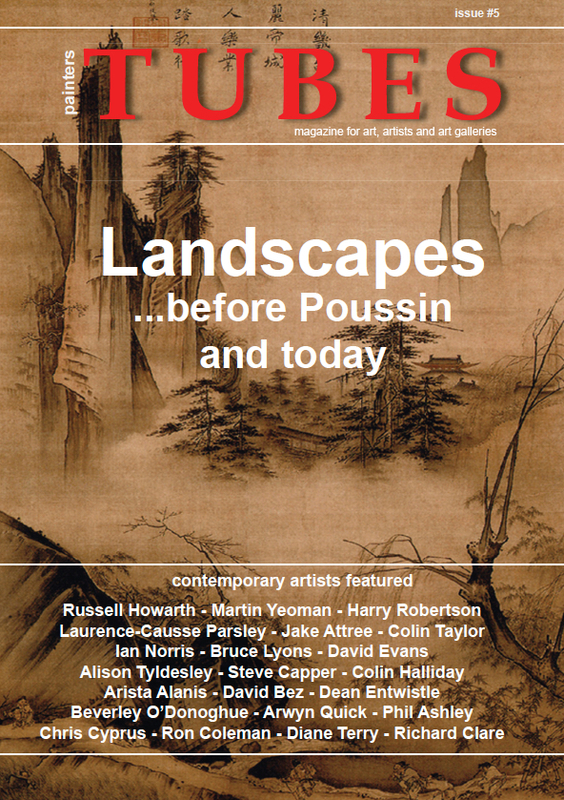 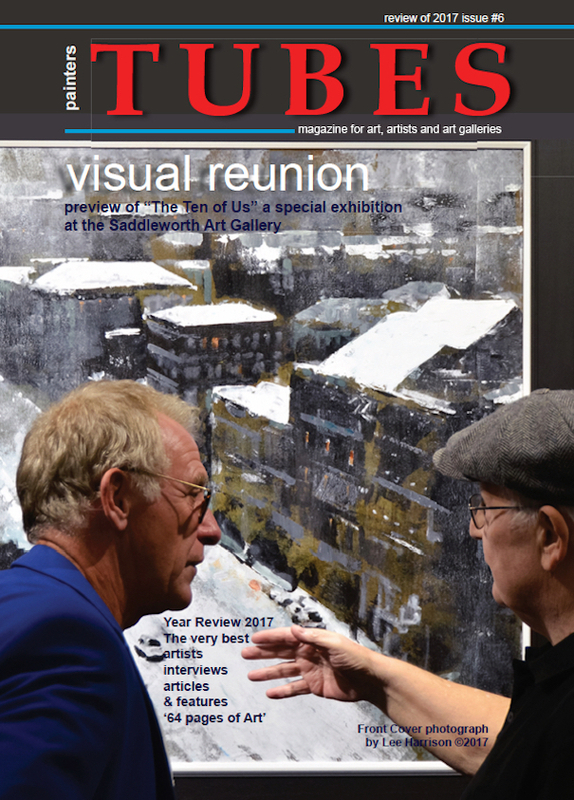 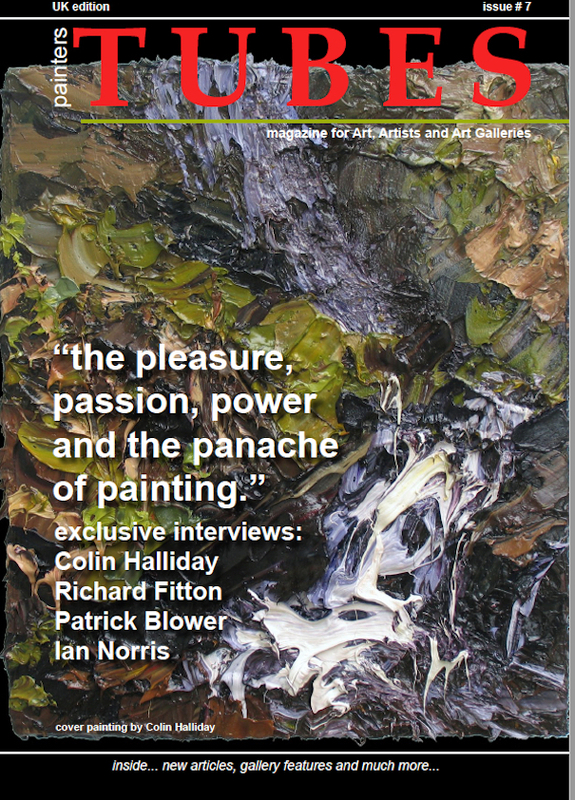 It was here that he viewed the full range of work and as a consequence featured the artist in issue #8. 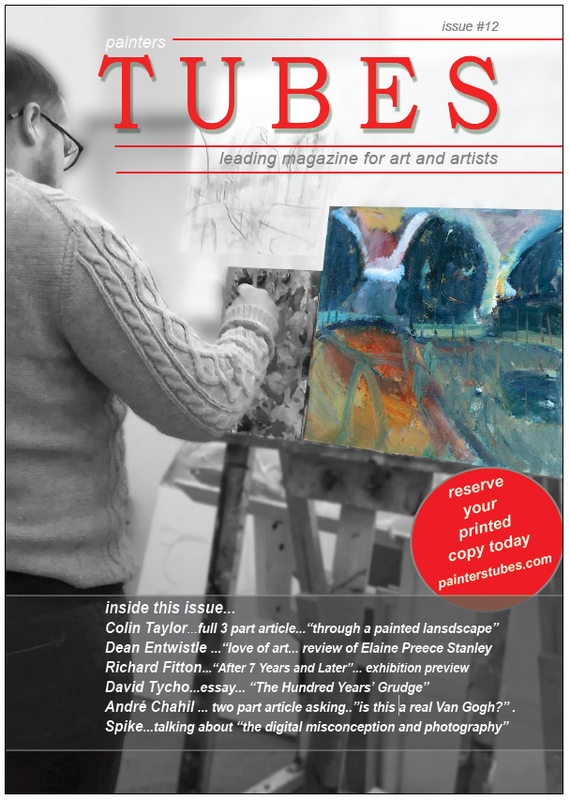 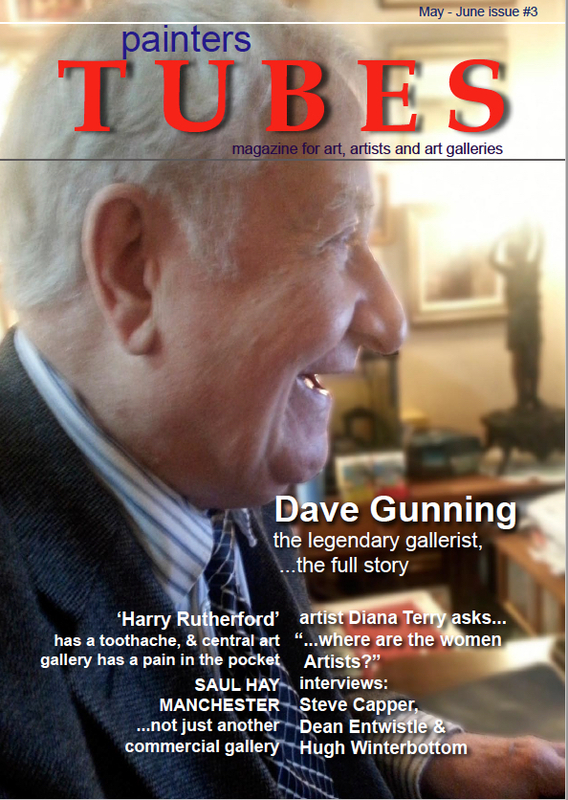 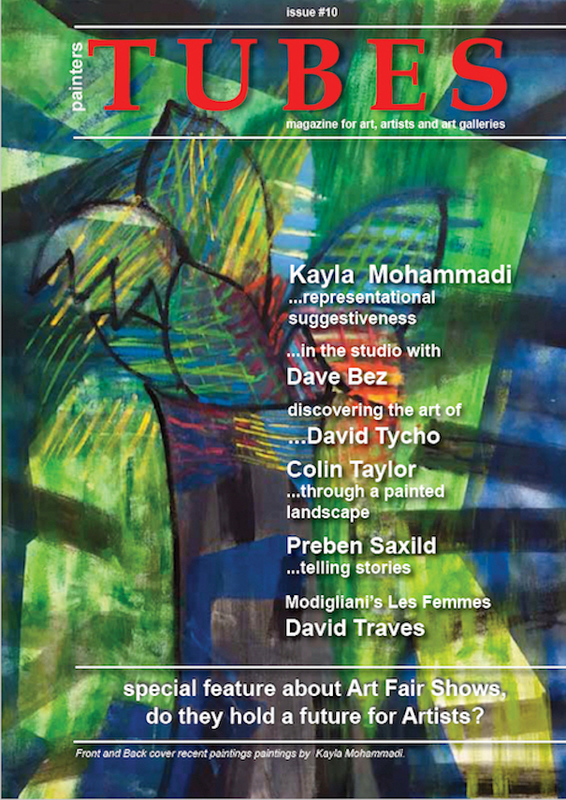 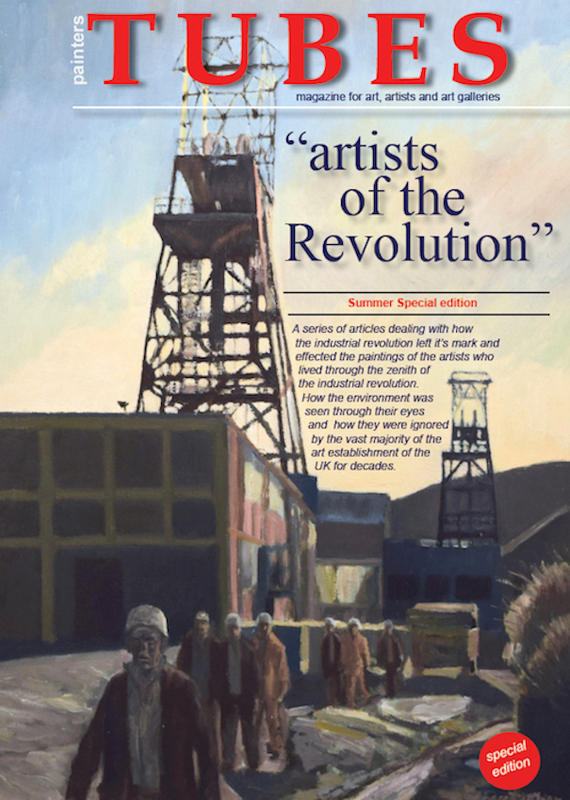 For all of us at Tubes, that one story, makes the case for painters Tubes magazine as the most influential Art Magazine real and fills us with delight…. 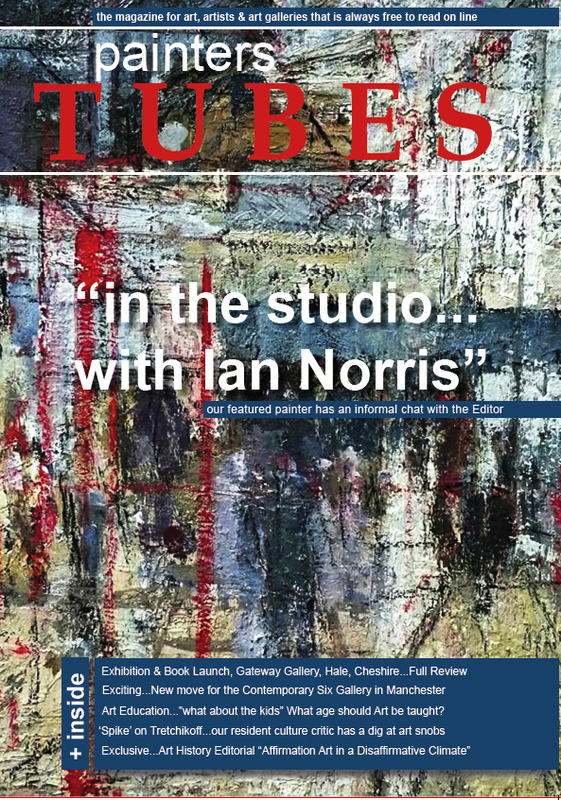 So to the artist in question, congratulations and hoping you paint many more great works of art…all the best from all of us at painters Tubes magazine.